Attracting wildlife is a way to help promote harmony and well-being in your garden. Birds and wildlife can help bring another dimension to your garden, adding splashes of colour and movement, beautiful songs and interest for all ages as well as being useful. For example hedgehogs are great at eating slugs and pests, and bees are excellent pollinators. 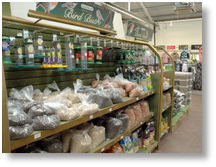 Our range of Birdcare has grown over the years to a great selection of products which will help you to attract a wide variety of different types of birds. 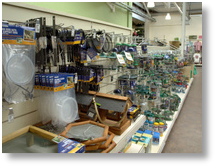 With our focus on only stocking products we feel are worthy of selling we have ranges from many suppliers including Jacobi Jayne, Gardman, Harrisons and Johnston and Jeff to give you a varied and comprehensive selection to choose from. As supporting wildlife in your garden can be an expensive pastime we offer ranges to suit all budgets with a choice of loose nuts, mixed seed and sunflower seed through to fatballs, suet cakes and prepacked no mess type foods. We have a continuous testing programme in operation and whenever we change our ranges or bring in new ranges, the Partners carry out trials in their own gardens to check that their local wild birds like what we are selling. There are also various feeding stations around the Garden Centre where food from damaged bags and spilt stock gets fed to the wildlife around the site. We also stock Feeding Tables, Nest Boxes and even some Novelty Items that we are sure you will enjoy putting in your garden. 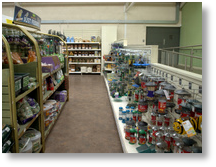 Our range of wildlife products includes items for hedgehogs, bats and bees. We also stock some more exotic types of feed such as Duck and Swan food and various flavoured treats to encourage specific types of animal into your garden.